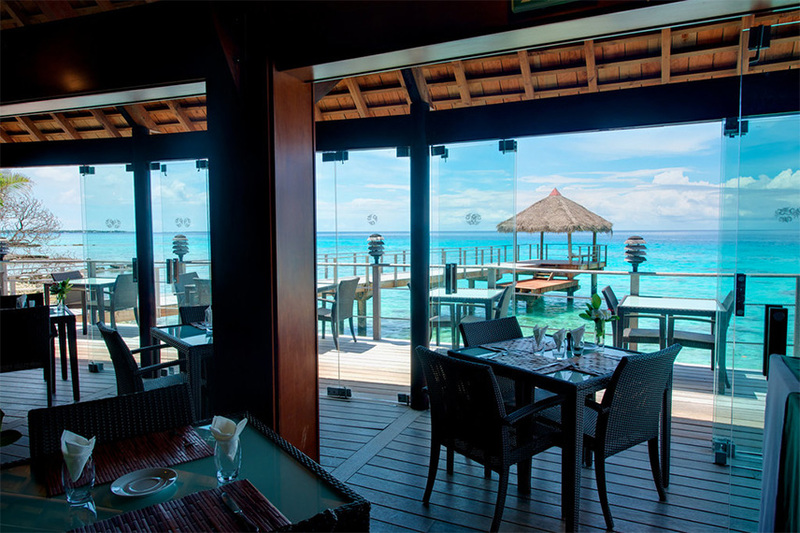 Come discover a delicious fusion of French cuisine and Polynesian flavors among the dishes offered by our staff, whose professionalism and kindness will please you. The atmosphere of the restaurant is warm and friendly. Depending on the season, a fun Polynesian night will be offered at Hotel Maitai's Blue Lagoon Restaurant. The evening’s entertainment includes a group of Polynesian musicians, singers and dancers! - 6:30pm to 9:00pm (last orders) for dinner. You'll find our Lagon Bleu menus at the Downloads page. 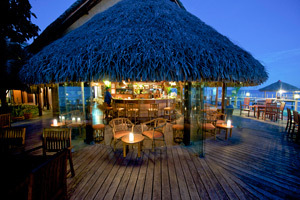 The Mawake Bar welcomes you to a warm and authentic setting, with tasteful décor and a casual style. Come and relax while listening to music and sipping a drink at the bar nestled in the heart of a beautiful tropical garden. It is the perfect place to unwind and relax or chat with other guests around an exotic cocktail, a refreshing local beer or a great glass of wine. You'll find our Mawake menus at the Downloads page.